Many industries are paying attention to the prospect of climate change and especially the release of carbon into the atmosphere by the burning of fossil fuels. Logistics is no exception. The International Maritime Organization (IMO) had mandated a decrease in the amount of sulphur in marine fuel oil from 3.5% to .5% by 2020. While many in the shipping industry welcome the change, a few resist citing detrimental impacts on national economies due to the increased cost of cleaner fuels. It is estimated that up to $15 billion in increased costs could be passed on to shipping customers. 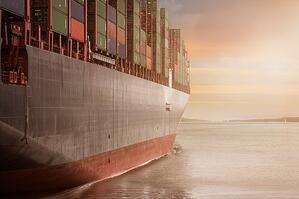 Is the shipping industry ready to comply with the IMO’s mandate? Whatever your position on climate change, paying attention to the impact of hydrocarbon-based emissions from the thousands of freighters crossing our oceans (not to mention the countless trucks and trains around the globe every day) is probably a good idea. There are many other issues facing the logistics industry in the coming years, from rising sea levels impacting low-lying port and warehouse facilities to shifting trade routes due to reduced sea ice in the arctic. Port City Logistics can help your company navigate all of the give-and-take of the adaptations being considered to make shipping safe and efficient. Contact us today to discuss your logistics needs!